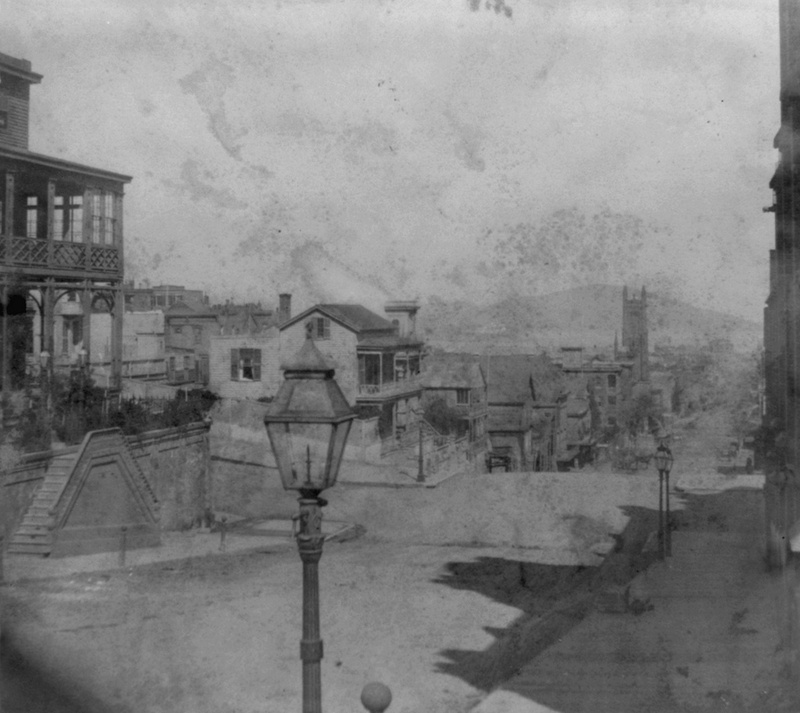 Looking north on Stockton Street from California Street in San Francisco, around 1866. Image courtesy of the Library of Congress, Lawrence & Houseworth Collection. When the first photo was taken, most of the buildings in the scene were still fairly new. San Francisco did not see dramatic population growth until the 1849 gold rush, and most of this area was probably developed in the mid to late 1850s. However, everything here was destroyed in the fires after the 1906 earthquake, and in 1914 the street itself underwent some major changes when the Stockton Street Tunnel was built. This tunnel starts here directly underneath the foreground, and it carries traffic two and a half blocks through the hill, while the original street still goes up and over the hill. 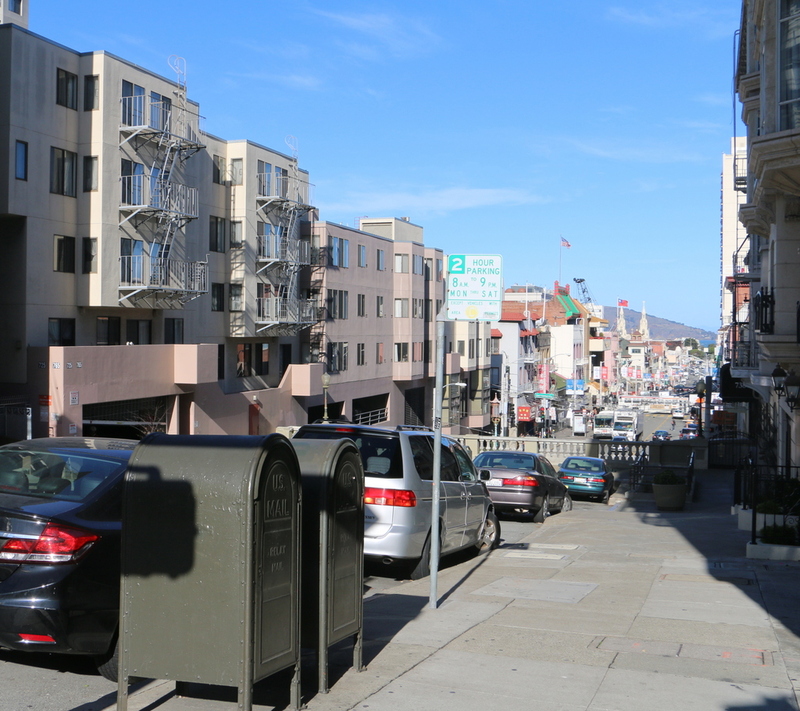 Today, Stockton Street is one of the two main streets in Chinatown, along with Grant Avenue, and this section in the distance of the photo is the neighborhood’s primary commercial center.